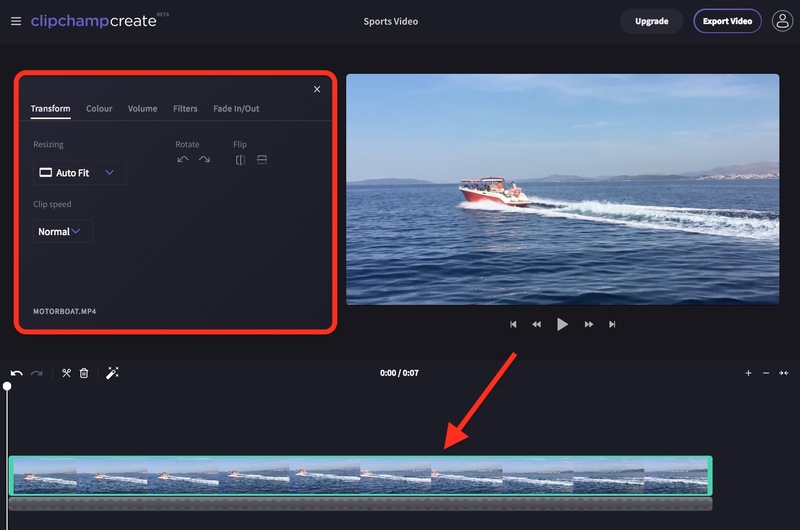 You can add a fade to the start or end of a video, image or audio file in Create of up to 2 seconds duration. This means visual clips will fade in from or fade out to black, and the audio volume will also fade in and/or out. See below for detailed instructions. It is also possible to add wipe, cross dissolve, fade through black and similar transitions between clips. See Transitions in the menu options on the left of the editor interface. See below for more detailed instructions. Drag the Fade in slider to the right if you would like a fade at the start of your clip. The number on the right indicates how long the fade will be. The maximum fade length is currently 2 seconds. In the example below, the fade in will be 1.5 seconds long. Drag the Fade out slider to the right if you would like a fade at the end of your clip. The number on the right of the slider indicates how long the fade will be. The maximum fade length is currently 2 seconds. In the example below, the fade out will be 1 second long. You can play your video clip back in the preview window and timeline to see how the fade looks and sounds, and make further adjustments. Once you're finished adding and adjusting your fade effect, simply close the Fade In/Out menu by clicking the X in the top right of the menu. An audio fade works the same way as a video fade. Simply select the audio file in the timeline, go to the Fade In/Out menu and then follow the same steps as above. 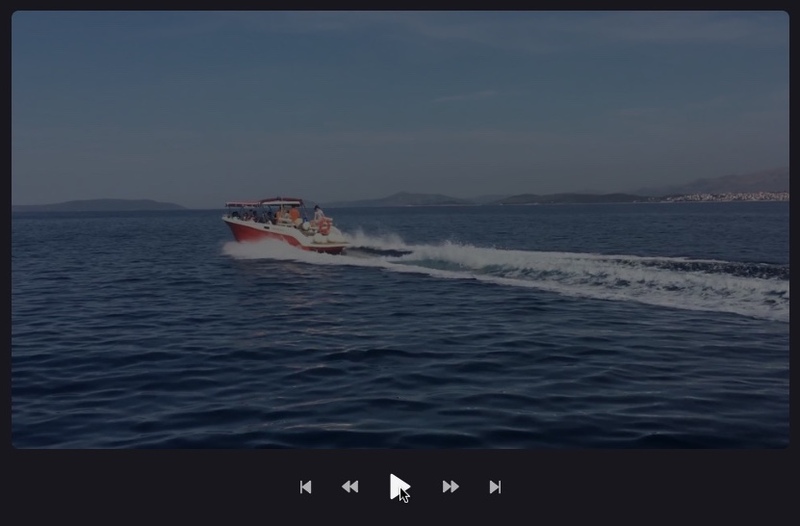 NOTE: The associated audio of a video clip (the grey track beneath it) will always fade together with the video when a fade effect is applied. 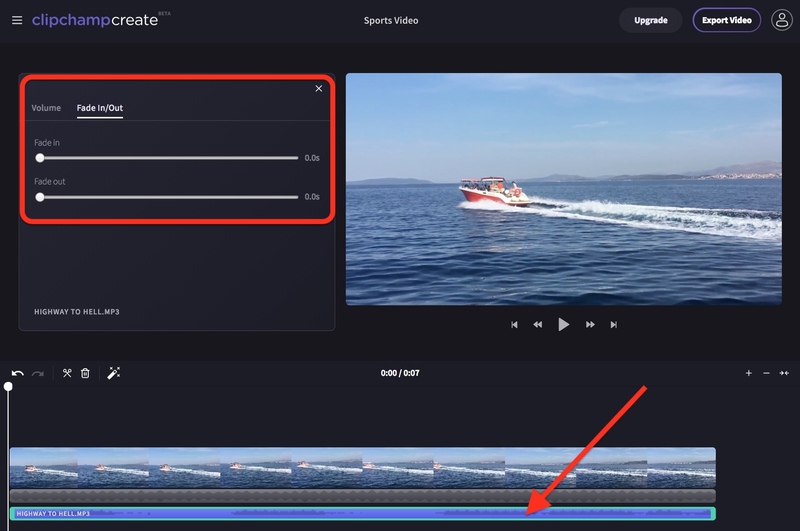 It is not currently possible to adjust the fade setting of a video and its connected audio track separately. 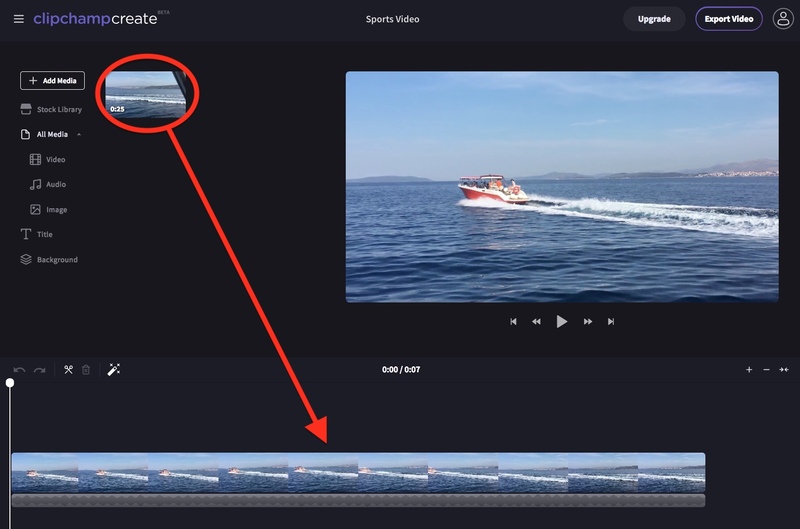 You can return the video to its original state at any time by clicking on the clip in the timeline, opening the Fade In/Out menu, and dragging the sliders back to their original position on the left hand side.